The right Archery hunting Equipment will make you a better deer hunter. Today, all you have to do is pick up a catalog like Cabela’s or Bass Pro Shops Archery specialists catalog to see how this great deer hunting activity has evolved. The art of getting close enough to the whitetail deer, and the ability to harvest a trophy deer while hunting with archery equipment, is just plain exciting and fun! If your an avid deer hunter, who isn’t yet hunting deer with archery equipment; you are missing out on one of the greatest deer hunting experiences are known to hunters. Once you have spotted a trophy deer coming into your hunting area, and waited him out (in some cases minutes) for that perfect opportunity for an archery shot. Then you draw your bow, released an arrow, and watched it fly into and through a deer; your hooked! You will want to do it again and again. There is something about archery hunting that is addictive. As deer hunting seasons come and go, you will want to upgrade your archery equipment for hunting. One size does not fit all. Archery hunting bows are not alike. There are longbows, crossbows, recurve, and compound bows. Those are the basic types of bows. All will harvest a trophy deer if matched up properly to the hunter and you have the right archery equipment accessories. Then you will need to practice, practice, and practice some more. Archery hunting is not like rifle hunting. Your back muscles have to be in shape to draw your bow and hold it at full draw length for up to a minute, maybe longer. If you archery hunt enough, time will come when you see a trophy deer coming at you on the stand. Just imagine him coming into your shooting lane; you draw on him, only to have him stop a foot or two short of your release point. What do you do? If you let up on the bow string, there is a good chance he will see that and spook. So you hold your draw, it seems like an eternity. Your arms start to shake and weaken. Why? Two reasons basically; one is your not strong enough (this is where practice and more practice comes in to build up the muscles you need) to hold the string back for the time you need too. The other is that the bow draws weight is too heavy; many archery hunters shoot a bow that has a draw weight that is too heavy for them – I guess it may feed their ego. The bow may not really fit you. A rule of thumb that has always worked for me is to go to your favorite archery equipment store/shop; talk to the archery pro there. Tell that person your goals are. With their advice and help, select the bow (in a draw weight and length you can handle) you are interested in. With supervision, draw an arrow on the archery target and hold it at full draw for 1 minute (hopefully your back muscles are in shooting shape). Not 55 seconds, one minute. Did you start to shake? Did you get that arrow creep where you let the string creep forward ever so little and then have to pull it back to full draw? Did your arms get tired? If you answered yes to any of these; that bow really doesn’t fit you in my opinion. Ask yourself; what’s going to happen when you have been on the stand for hours. It gets cold out; you are stiffening up; and here comes that 12 point trophy buck you have dreamed of shooting? Those dreams are going to turn into a nightmare of regrets. Your bow has to fit you in draw weight and length. As a general rule, a bows longer draw length (considering the same bow draw weight) will cast an arrow faster than a bow with shorter draw length. But this doesn’t necessarily mean you should shoot a bow with the longest draw length you can possibly shoot. You need to consider a couple things here. Most of us practice when the weather is nice. Many times we do it in tee-shirts, shirt, or a light overcoat. Pile on a couple layers of hunting clothing and see if it effects your hold and where the string travels. I like to shoot a bow has a draw length that is 1/2 inch shorter than measured. I want to be able to compensate for those days when I will have multiple layers of clothing on. Another good reason for shooting a hunting bow that has a poundage lighter than I can handle in the middle of summer. My bow string has total clearance no matter how much hunting clothing I have on in December when the temperature hits zero or colder. I can pull a 50 pound bow string back a lot easier at that temperature than if it was set at 70 pounds; the weight I can shoot in the summer wearing a Tee shirt. One less mistake to make when that trophy whitetail steps into my shooting lane. Believe me when I say that today’s 50 pound compound bows, such as my Mathews Switchback – 28 inch draw – adjustable from 50 to 60 pounds, can be matched up with the right custom made hunting arrow and a good sharp broadhead, will punch right through the chest/lungs of the largest buck in any hunting area. Once you know your draw length you can determine your arrow length. I like to add at least 1/2 inch (at the arrow rest) more to the arrow length when I’m at full draw. For safety reasons, I’ll sacrifice a foot or two of arrow speed for total clearance when I have a razor sharp broadhead on the shaft. Fallow the arrow manufacturers charts and grafts to select to right arrow for your bow type and draw weight. Build yourself a archery equipment tackle box for most of your miscellaneous supplies that you will need off and on. I use a large fishing tackle box. 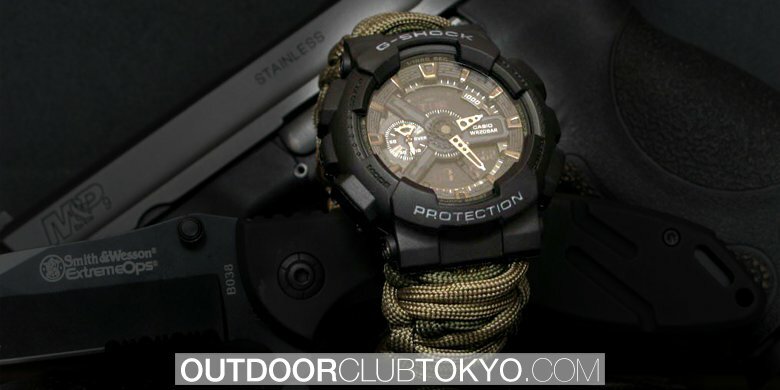 It is a convenient place to keep all small necessary equipment related to archery hunting. Everything is in one place easy to find and locate. It is a good idea to go through it every year and update things as needed, that way you will always be prepared for the upcoming deer hunting season. 1. If shooting a compound bow; use a release aid and factor that into the draw length and arrow shaft length. Consider a back release shooting aid if you jerk a trigger release. A back release will help you with that consistent surprise release we all want. Try a string loop on your string where your release clamps/hooks on. This is especially useful if shooting a parallel limbed bow. A string loop will keep string pinch to a minimum. 2. Match your archery hunting equipment; try to stay with the same manufacturer for a bow, rest, quiver, and more. You wouldn’t put a Ford carburetor on a Chevy intake manifold, would you? 3. Use a quality arrow rest; I prefer the drop-away style on my compound hunting bow. One that is matched up to the bow; preferably made by the same bow manufacturer. 4. 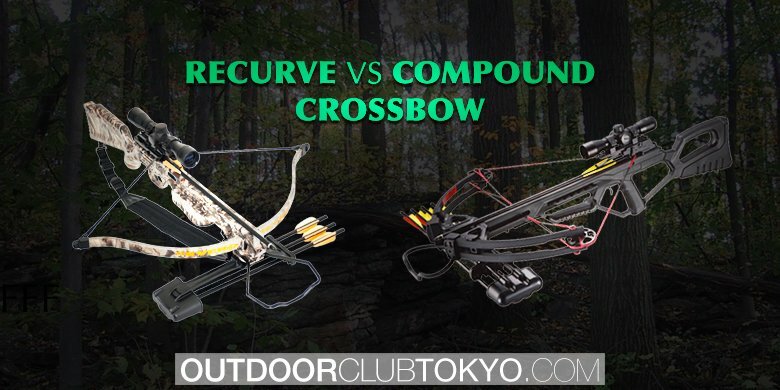 Purchase a high quality, light gathering site, and have it installed on your hunting bow. Many times you will get an opportunity for a shot at first or last legal hunting light. Use a peep, install it in your bow string at eye level to give you that distant aiming point reference. Just like a hunting rifle. Many of today’s popular bow sights have small lights built into them that light up glow yardage pins, aid in low light situations. Be sure to check your states game laws pertaining to their use and fallow all regulations regarding shooting hours. 5. Use a quality hunting stabilizer and vibration dampening aids. They help! 6. Use a bow wrist sling; it will help your shooting accuracy if you can shoot with a relaxed grip. 7. Wax your bow string. This will help your bow string last longer and help prevent it from fraying. Bring you bow into a pro-shop every year and have your cables and strings checked and replaced if needed. Money well spent and will help to keep your shooting safe. 8. Shoot sharp broadheads when hunting. When archery hunting, your game will die from hemorrhage, not shock. Practice with field tips that weight the same amount of grains as your hunting broadheads. Practice with the broadheads you will be hunting with too. Large fixed blades tend to plain when flying through the air. Be aware that deployable mechanical blades don’t always open correctly. A recently new type of broadhead that works very well, where the cutting blades deploy forward and has a 2-inch cutting diameter is the “Rage” two blade broadhead; wicked! 9. Get yourself a good quality archery target or two. The archery targets I like to use are the targets that look like deer. These archery targets are also the same size as your average deer, or larger. Practice on these from stand heights, in a wooded area. Move them around and get used to shooting in hunting environments. 10. Put a small (size of the quarter or no bigger than a matchbook) dot on your archery target to shoot at. Keep it small. Do not shoot at paper plates! So much of our shooting technique is done subconsciously. I believe that when a archer is at full draw, holding on a target, trying to center in on a large spot, he or she may unconsciously release the arrow before they are ready, or want to shoot. You will ask yourself; “why did I do that?” You didn’t release the arrow, your subconscious mind did. Your brain said to you, “you’re on target, close enough, shoot, my arms are getting tired.” Try a small spot on your archery target; I think you will be amazed at how much tighter your shot groups get. 11. Camouflage yourself when bow hunting! Match the camouflage to your deer hunting terrain and stand sites. If you don’t, you’ll stick out. Be aware of your silhouette and your background. Do not ever wear Blue Jeans while deer hunting!!! If you do, you might as well be wearing a neon sign. A whitetails eyes absorb light different then ours; the light wavelengths of the color blue stand out to deer. There isn’t to much of the color blue out there in the woods, so it’s very un-natural to deer. Deer do not see colors as we do, but they do see colors in different shades of brightness’s in a variety of off-color hues. If it is un-natural, they will spook! 12. Practice sent control. You stink! Your boots stink! Wear rubber boots for hunting only. Use hunting lure scents for attractants, cover-ups, mock scrapes, and aids to fool the whitetail. Hunt is facing the wind; again, you stink! Deer don’t like a human scent. Consider using charcoal lined or embedded clothing; fallow manufactures directions for cleaning and scent control. A recently new development is an embedded Nanosilver anti-odor technology built right into the fabric. Scent control technologies are evolving and will continue to do so. Prices are very reasonable for garments designed to worn under your hunting clothing. Many are light enough to wear on the warmest days. 13. Use portable hunting stands, climbing stands, ladder stands, and blinds. Use safety harnesses correctly; fallow the manufactures directions for use. I use one of the newer style safety vest style harnesses. It is reversible with a camouflage pattern on one side and is blaze orange on the other. Use these harnesses going up and down the tree also, not just on stand. Most falling accidents happen climbing up and into a hunting stand or getting out and to the ground. Don’t become a statistic for some hunting safety advertisement. 14. Use several deer calls and a rangefinder. Practice with all. I like to use a fawn bleat, doe call, buck call, and even a buck roar call when rattling. You can call a deer into your shooting range with these accessories, but you still have to know what the range is (within 5 to 8 yards) to effectively harvest a whitetail deer with a hunting bow. I like to range various objects while in my stand, that way when a deer comes in and I don’t have that extra time to range it, I already have a good idea of the range within a yard or two. Remember; your shooting at a target about the size of volleyball (now you know why so many practices at a paper plate), read number 10 again. 15. Use a backpack or fanny pack for extra hunting equipment, food, hydration items, first aid, survival items, small archery equipment, entrails removing tools, phone, radio, compass/GPS, rope and other miscellaneous items you will want or need. It is better to have a pack that is too big once in a while than one you wish you could put more items into. As the weather gets colder, you will carry more items with you; like extra gloves, face mask, down vest, thermos and more. Note I have a roll of toilet paper for when nature calls and it is also a great way to mark blood trails on overhanging branches. Good luck, stay safe, and fallow this great advice as it pertains to deer hunting archery equipment and it’s safe use.